What better way to celebrate your 25th birthday than with 50 of your best friends? The German partners Industrie-Contact (IC) and cometis AG and the Public Relations Global Network (PRGN) announced the addition of two new communications agency affiliates to one of the world’s largest PR agency networks. These firms – S&A Communications and asoluto – joined PRGN during the consortium’s recent bi-annual meeting in Dallas, Texas. The group also unveiled a new PRGN website, which incorporates powerful search functionality to help companies find the right expertise in the right location around the globe. The new prgn.com also is a new resource for PR professionals searching for tools and templates, including press releases or plans, while serving as one of the first-ever international job search banks for the profession. Founded in 1982, this North Carolina, USA-based firm is an integrated marketing brand that grew from deep-seated PR roots. For more than 35 years, it has evolved into a team of strategic marketing professionals whose driving goal is to help clients outthink, outwork and outperform their competition. S&A’s nationwide client base looks to them for public relations, marketing, digital, creative, photography, event planning and custom-publishing services. S&A’s executive leadership team includes Chuck Norman, APR, owner and principal; Bill Zadeits, owner and principal; and Ron Smith, APR, founder and owner. The Vienna, Austria-based agency is among the country‘s biggest PR and communications organizations. Founded in 2011 by the merger of two long-established firms, asoluto combines traditional PR with integrated digital services, including social media campaigns and web project development under one brand. The team of 20 specialists works for both local and international clients, representing such brands as AEG, Roche, paysafecard and QuintilesIMS. asoluto earned a national award nomination for its non-smoker protection communications campaign, “DON‘T SMOKE“, which ultimately led to the passing of new legislation in Austria. asoluto is led by managing partners Robert Bauer, Brigitte Mühlbauer, Andreas Freitag, Béatrice Verdino and Martin Verdino. 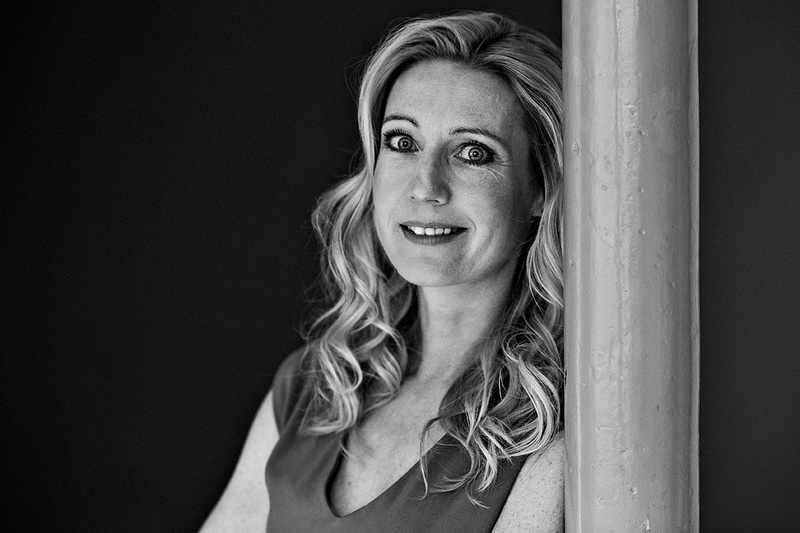 Christina Rytter, managing director and founder of Copenhagen, Denmark-based Scandinavian Communications and president of PRGN. During the Dallas meeting, PRGN members elected Christina Rytter, managing director and founder of Copenhagen, Denmark-based Scandinavian Communications as its new president. Rytter, who replaces Evelyn Holtzhausen, founder and director of South Africa-based HWB Communications, leads the worldwide network of 50 independently owned firms for the next 12 months. Founded in 1992 by a group of visionary public relations leaders, PRGN is planning a celebration for its 25th anniversary later this year. 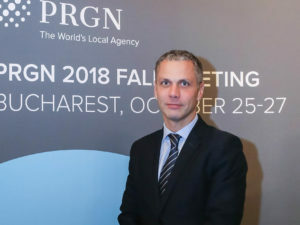 With more than $101 million in revenues and 900 professionals in 50 locations, PRGN is one of the world’s largest international public relations networks. PRGN’s enhanced website represents a significant milestone for the global network. A complete redesign of the site now allows businesses and corporations worldwide to more easily research and connect with the communications partners that fit their needs. 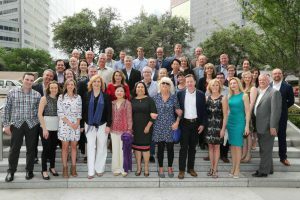 Members of the Public Relations Global Network (PRGN) recently convened in Dallas, Texas. PRGN partners meet twice a year in cities around the world. The next meeting will be held in October 2017 in Kyoto, Japan. At each meeting, the group’s leadership teams discuss best practices and find new ways to collaborate and develop business partnerships globally. Agency members are independent, local, owner-operated public relations and marketing communications firms that share expertise and resources, while providing broad-based comprehensive communications strategies to clients worldwide. Companies or organizations interested in the services of PRGN’s local agency network can visit www.prgn.com for more information. Independent agencies interested in joining the network can visit the member recruitment section of the PRGN website for more information or email its membership chair, Layth Dajani, founder of The Content Factory at layth@tcf-me.com. Clients across six continents depend on the combined resources of the Public Relations Global Network (PRGN) to deliver targeted public relations campaigns in markets around the world. With revenues of more than $101 million (US), PRGN is one of the world’s largest international public relations networks. 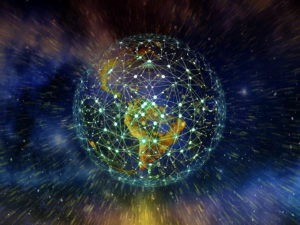 PRGN harnesses the resources of 50 independent public relations firms and more than 900 communications professionals to connect international companies and organizations with individual and culturally diverse markets globally. Visit PRGN online at www.prgn.com or on twitter at @PRGN.